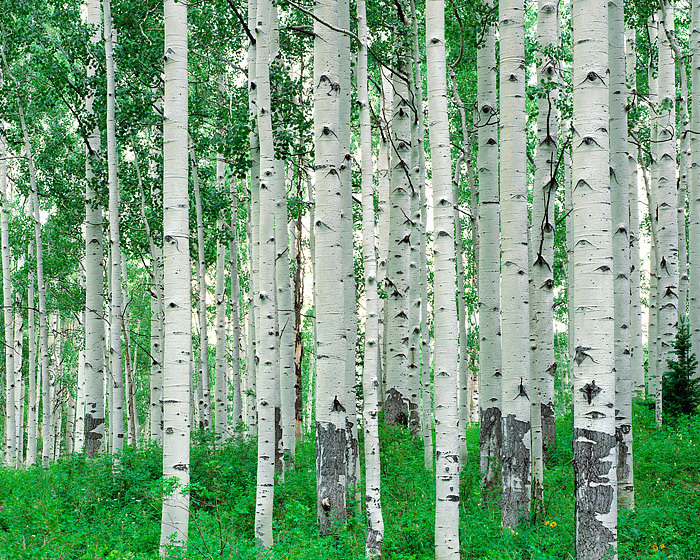 The top of Kebler Pass just outside of Crested Butte, Colorado is host to beautiful groves of Aspen Trees. Colorado's largest Aspen groves are located in this part of the State and a drive over Kebler Pass in Summer will reveal thousands of green Aspen Trees. Photo © copyright by Thomas Mangan.